The city of El Cajon, California is located in San Diego county and is nestled into a valley surrounded by mountains. Not surprisingly El Cajon translates to "the big box" or "the drawer" as the city sits in a natural box. The city strives to live up to the motto "The Valley of Opportunity" and has been home to a long list of notable people, including, but not limited to Rolling Stone critic Lester Bangs, attorney, author and political activist Willliam John Cox, NASCAR Driver Jimmie Johnson, volleyball Olympic gold medalist David Lee and a number of professional baseball and football players. The city spans 14.33 square miles and has areas of both Mediterranean climate and semi-arid climates. The Spanish ruled the area from 1769-1821 during this period the government issued large land grants called ranchos many of these land grants were made to the Roman Catholic church for their missions. The friars of San Diego Mission had such a grant for the lands in El Cajon Valley where they used the natural geography to help in the raising of cattle the hills kept them from wandering and provided natural watershed areas for the herd. The area came under Mexican rule from 1821-1846 and land grants were given to individuals. In 1845, the lands that had belonged to the mission were confiscated by Govenor Pio Pico and he granted approximately 48,88 acres to Dona Maria Antonio Estudillo. This land grant encompassed modern day El Cajon and parts of five or more other are cities and towns. The lands changed hands over the years, even going by the name Knox's Corners for a time. It was officially incorporated under the name El Cajon in 1912. According to the United States Census of 2000, El Cajon was home to 94,869 people spread across 34,199 households giving the city a population density of 6,510.6 people per square mile. The median household income was $35,566 and the median family income was $40,045. In 2005, estimates by the San Diego Association of Governments, the median household income reported the median household income when adjusted for inflation had risen to $38,884. According to the census of 2010 the population had also risen and El Cajon was now home to 99,478 residents. 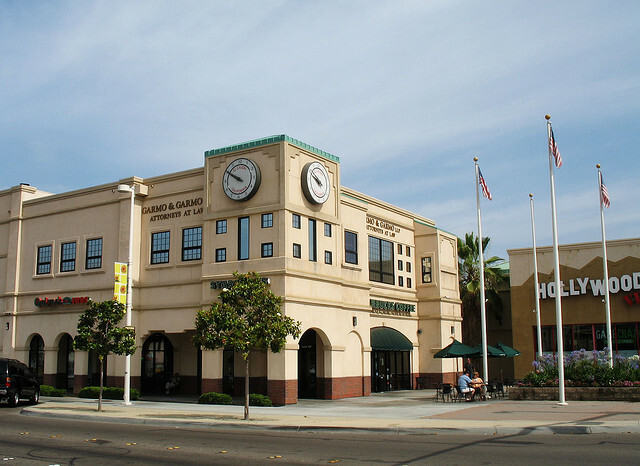 According to the City's 2010 Comprehensive Annual Financial Report the top five employers in the city were Grossmont-Cuyamaca Community College District, GKN Aerospace Chem-tronics, the City of El Cajon, Taylor Guitars and Sears. The city has much to offer residents with seventeen parks and six recreation centers which available for countless activities indoors and out. The city also features, two libraries one performing arts center and 83 churches. Public education for elementary and grade school students is provided by the Cajon Valley Union School District. Public education for high school students is provided by the Grossmont Union High School District. Housing in El Cajon is predominantly middle class single family structures, other housing options include apartments, duplexes, condominiums and more. Local real estate agents await to help you find the home of your dreams in the thriving city of El Cajon.